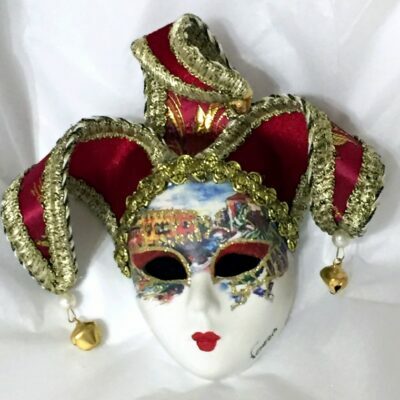 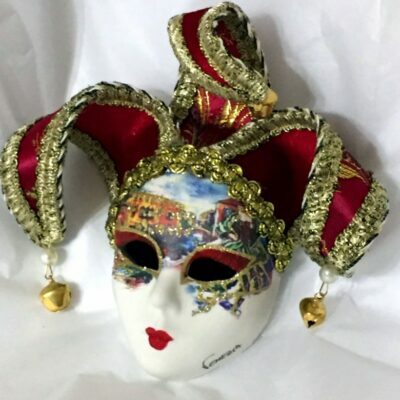 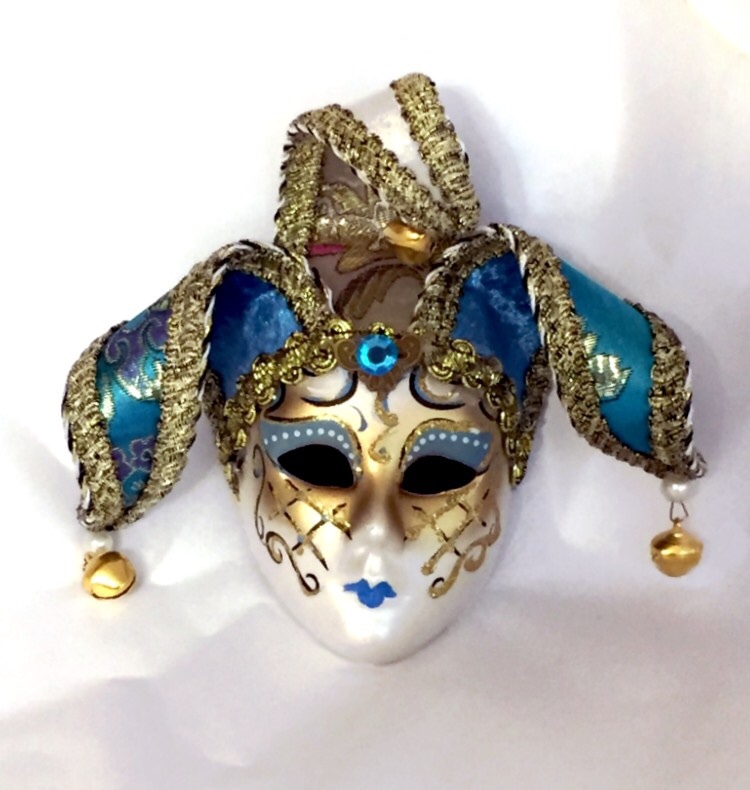 Pretty Miniature Jester Mask measures around 12cm high with adjustable horns that can be curled any way you fancy. 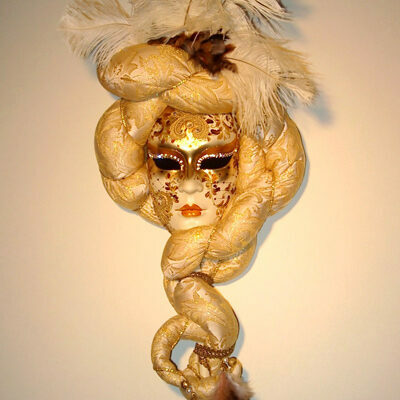 The Face is ceramic with a pearl finish decorated in Gold. 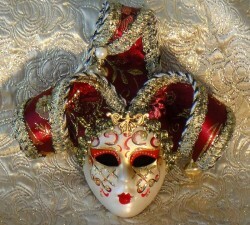 The Brocade Head dress is lined with velvet. 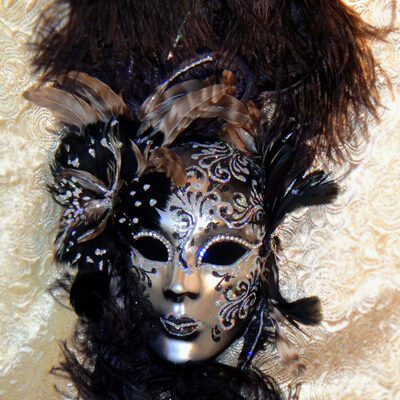 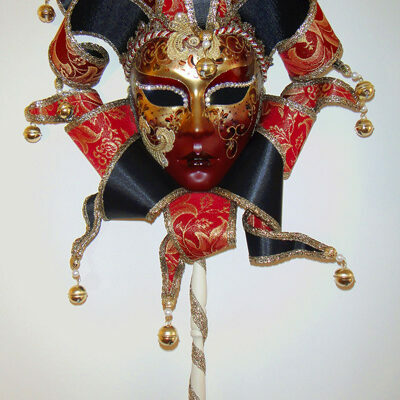 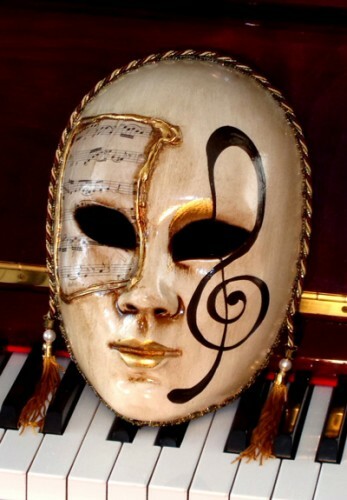 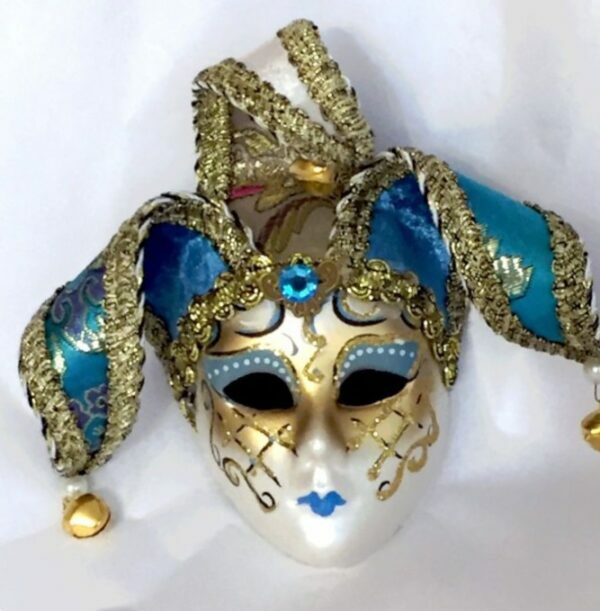 This mask can be hung or set up in a plate stand. 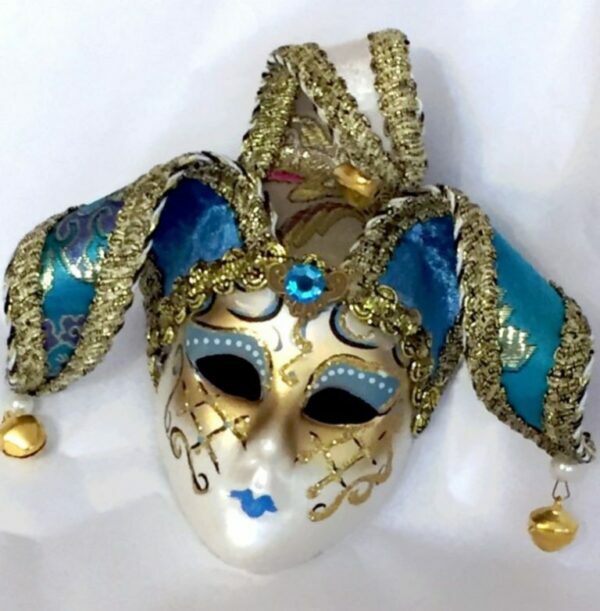 Looks great in a collection.